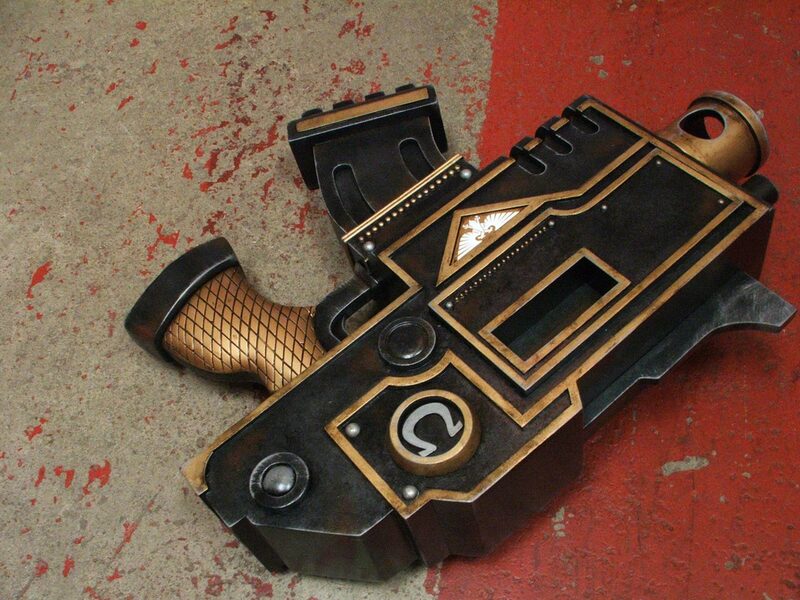 Built as a showcase piece for New York Comic Con 2010, the Bolt Pistol was completed in nine days. 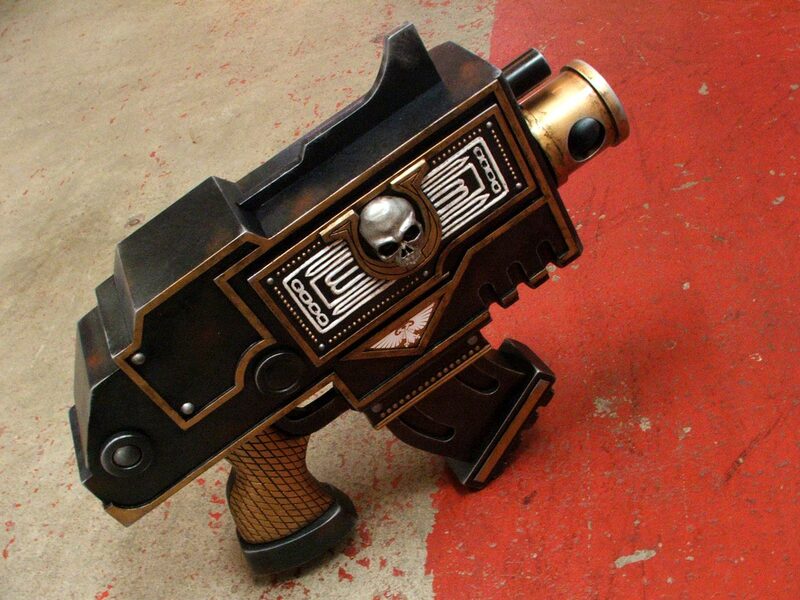 The finished pistol was displayed at the “Ultramarines” booth where convention attendees could pose wielding the weapon in front of a green screen for a souvenir photo. 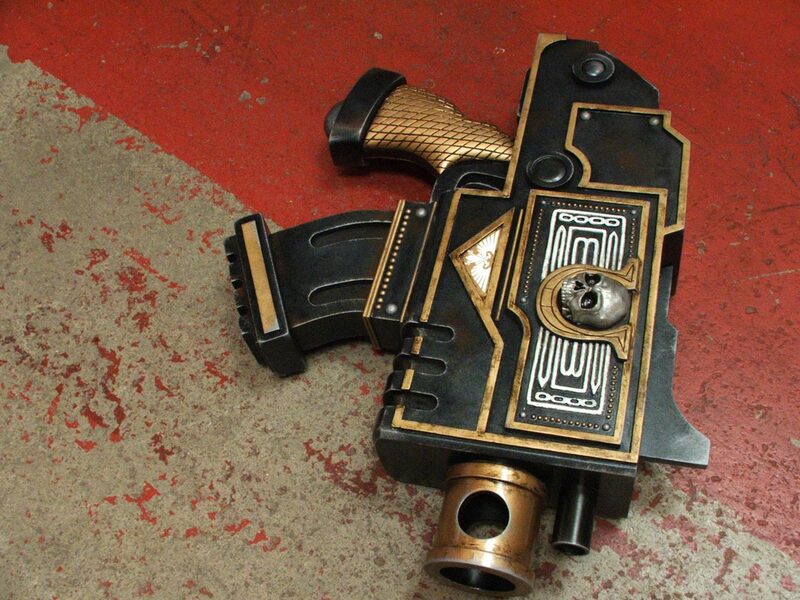 Over the course of the convention the pistol was held by over 5,000 attendees. 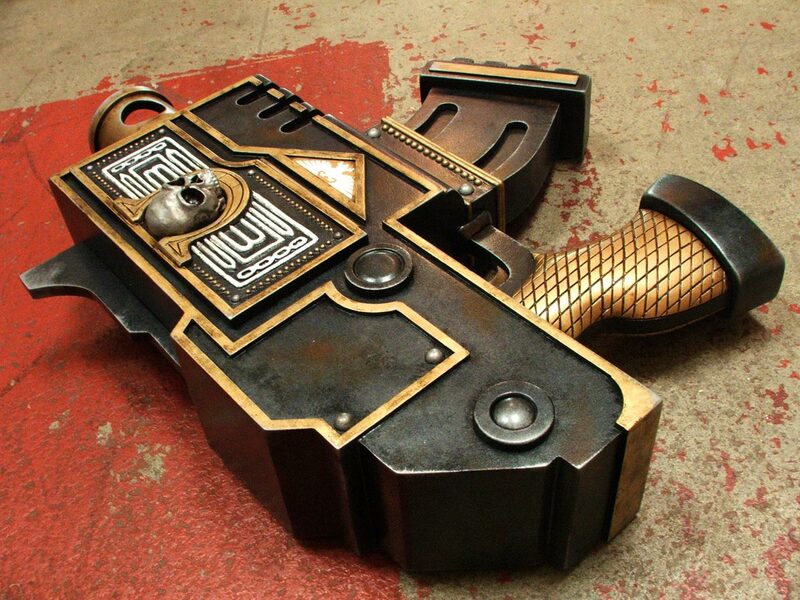 The finished piece is far larger than a standard “pistol” scale. 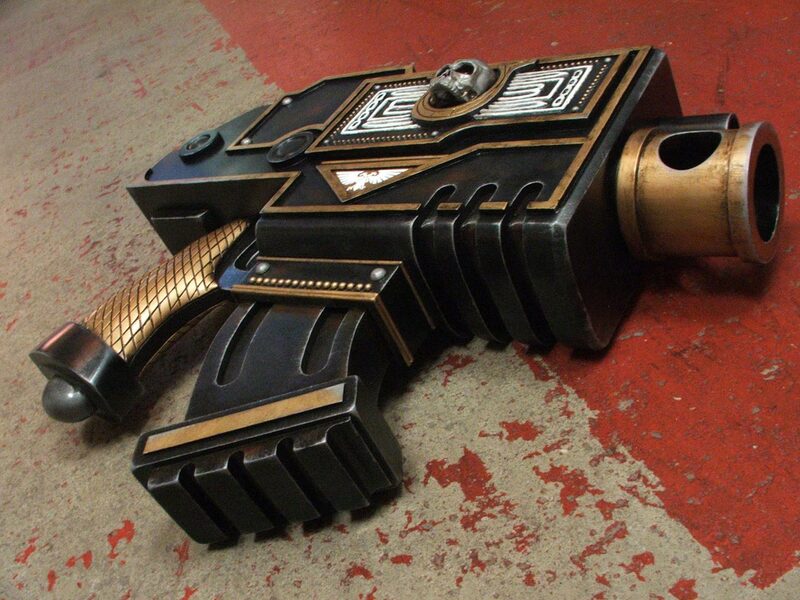 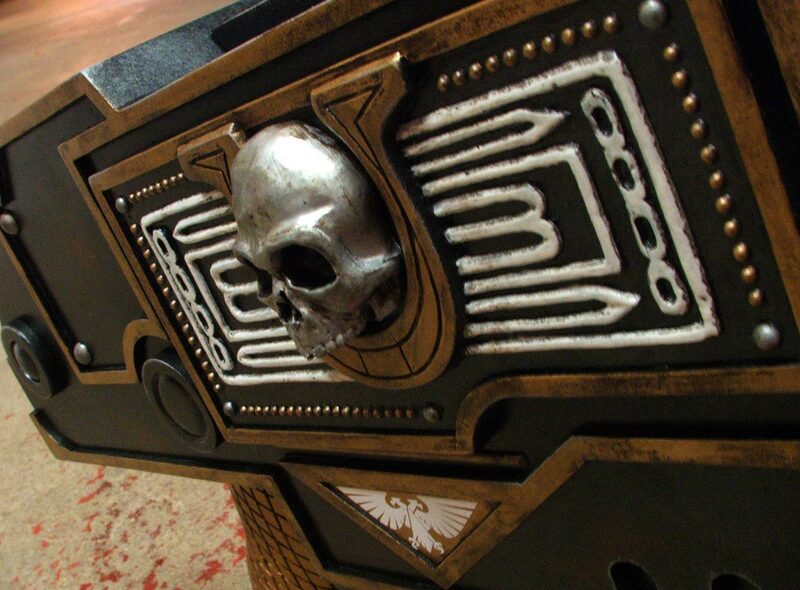 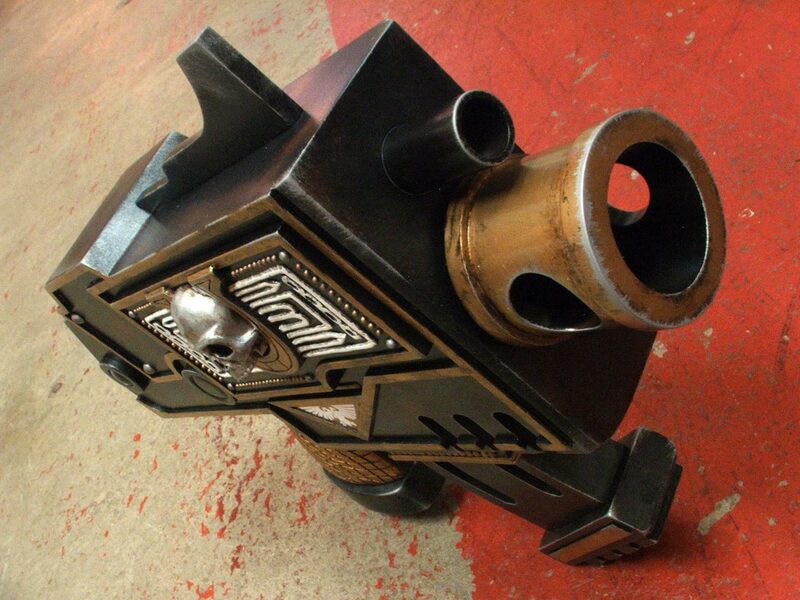 As it is meant to be held by an 8-foot tall space marine, the pistol is nearly 2 feet long and weighs over 15 lbs. 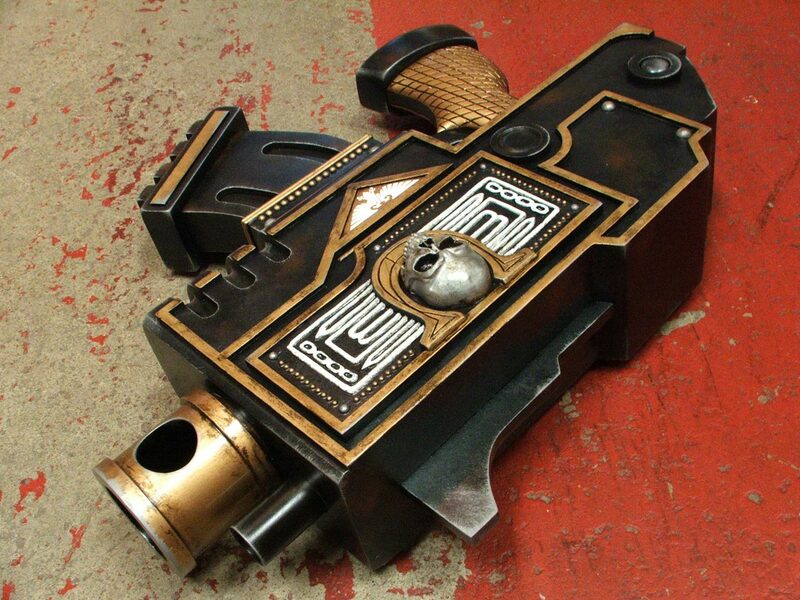 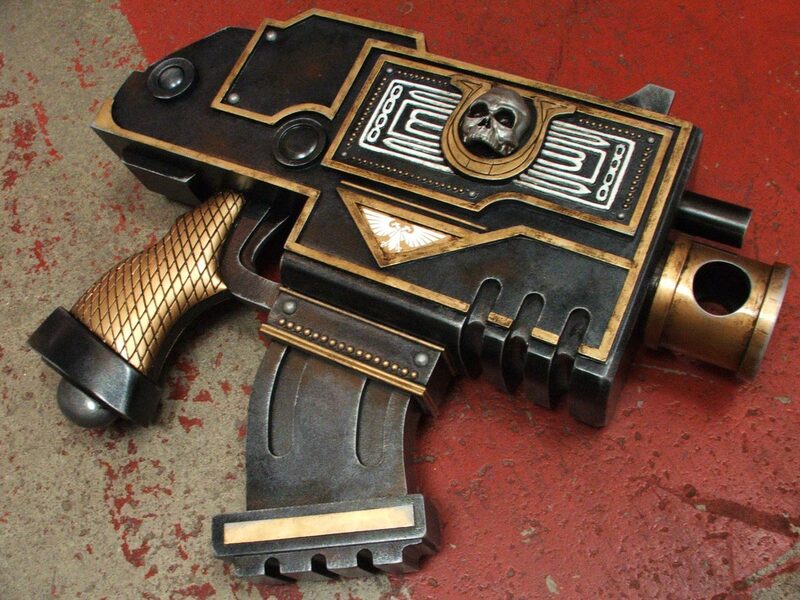 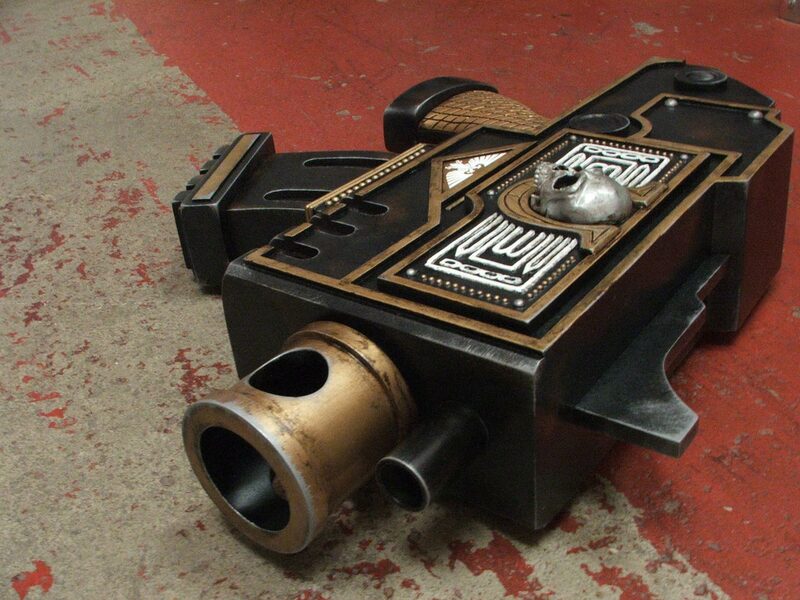 Click here for the Warhammer 40K, Bolter Pistol design and build log.